For all your electrical services in D11 look no further than your local team at electricians Dublin 11. We are part of the Dublin electricians group that has been successfully trading throughout the county for over 25 years now. 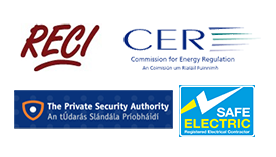 During this time we have become one of Dublin's most respected provider of electrical services. We have clients including a major insurance company, the four courts and social housing projects to name but a few. Some of the services provided by electricians Dublin 11. Standard and emergency lighting repair, installation and testing. Smoke alarm installation and testing. Home or business rewiring projects. Electrical socket repairs and installation. These are a few of our most popular services, don't worry if you don't see what you need on our list. We literally provide the full range of electrical services All carried out by fully qualified, R.E.C.I. certified Dublin 11 electricians. The emergency electricians Dublin 11 team are always on hand if you need them. That's right if you need an electrician in Dublin 11 quickly because of an emergency don't worry, we can help. Our d11 electricians are available 24/7-365 for these occasions. Call 01-6874854 in the evening or weekend and you will always get a friendly voice at the end of the phone. 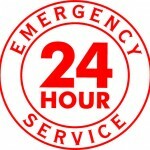 For all electrical emergencies we promise to be at your home or business in under an hour traffic permitting. On arrival we will quickly identify the issue and get it sorted out as quickly as humanly possible. Our Dublin 11 electricians cover the areas below. We operate openly and transparently, all our prices are advertised on our website unlike some other electrical companies. We believe our prices are good, we are fully insured and guarantee all of the work we complete. We will happily provide free no obligation estimates on all projects. For emergencies, quotes or expert advice call your local team of D11 electricians on 01-6874854.